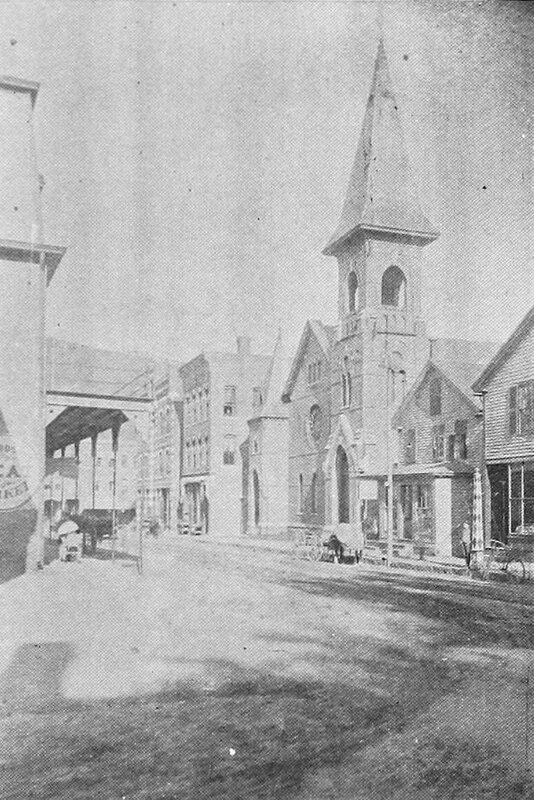 The Brattleboro Methodist Church at 16-20 Elliot Street, around 1894. Image from Picturesque Brattleboro (1894). Methodism first took root in Brattleboro in 1834, when the first Methodist Episcopal Church began worshipping in the town. Its first church building was completed three years later on Canal Street, but within a few years this building was owned by the Baptists, Adventists, and then Universalists before becoming a private house in the 1850s. A second Methodist church was later established, with a brick building on School Street, but this was later sold and converted into apartments, and is apparently still standing opposite Moore Court. Following this sale, the Methodists held services in the town hall for some time, but in 1880 they moved into this newly-built church on Elliot Street. Like several of the other buildings along this section of Elliot Street, it featured High Victorian Gothic-style architecture, with a mostly brick exterior that was trimmed with light-colored stone for contrast. It was designed by Warren H. Hayes, a noted architect whose works included a number of churches – particularly Methodist ones – that were built across the country during the late 19th century. Although more modest than some of Hayes’s works, this building reflects the typical church design of the era, with an asymmetrical facade featuring a tall tower in one corner and a shorter turret in the other. 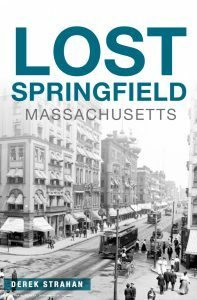 Aside from the church itself, other buildings in the first photo include the Leonard Block, which is located just to the left of the church, and the former People’s National Bank Block, which is further to the left at the corner of Main Street. Both of these were built in the early 1880s, around the same time as the church, and were located on the former site of the Revere House, which had been destroyed in a fire in 1877. Across the street, on the far left side of the first photo, is the Market Block, which can be seen from a different angle in the previous post. This building, with its large mansard roof, was built in 1873 and was originally owned by merchant and real estate developer Edward Crosby, who also built the nearby Crosby Block on Main Street. 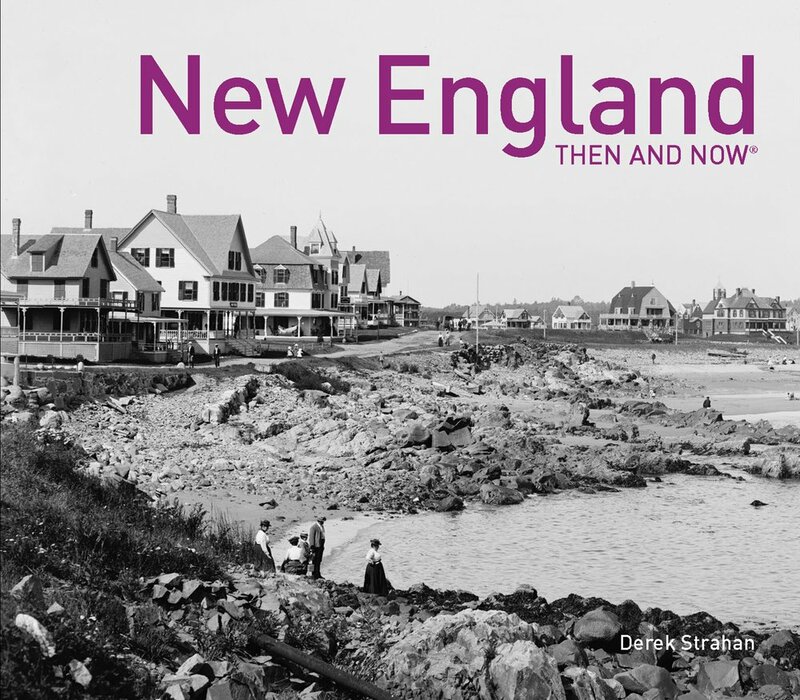 Today, this scene has not significantly changed in nearly 125 years, and all of the buildings from the first photo are still standing except for the two small wood-frame buildings on the right side. The exterior of the church has not seen too many changes, aside from awnings and the addition of a wheelchair ramp, but the interior has been altered. Just as the two earlier Methodist church buildings were repurposed into other uses, this church is likewise no longer used for religious purposes. The congregation moved to a new location in 1970, and the old building was first converted into a theater and then into commercial space. It is now the Hotel Pharmacy, and features rows of shelving where the pews once stood. However, the interior still includes the stained glass Gothic windows, vaulted ceiling, and other reminders of its former use. 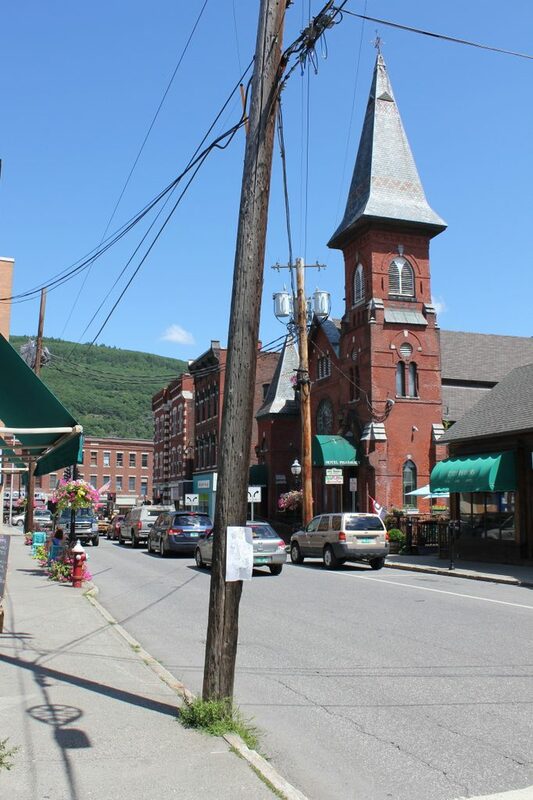 Along with the other surrounding buildings, the church is now a contributing property in the Brattleboro Downtown Historic District, which was added to the National Register of Historic Places in 1983.